Visiting Amsterdam: Are There Things You Shouldn’t Do? So here you are again, enjoying your yearly vacation, and this time, you’ve decided to go to Amsterdam. It seems as if everyone has something good and exciting to say about this city – the people are ‘liberal’, the parties are insane, the weather’s never as menacing as it is in other countries or cities. With all the good stuff you’re hearing, then, it’s not surprising to get excited and be almost unable to wait to try out all of these things yourself. A word of caution is in order, though. Despite the fact that there are many great things about Amsterdam (and that’s not an exaggeration), there are also proper limits to the craziness that’s afforded to the random tourist. Sure, the city is brimming with life, but there are certain bounds to that life, bounds which now determine what you can do, and what you shouldn’t do. So, if you’re ready and you’re taking down notes at least mentally, here are some things you shouldn’t do in Amsterdam. First of all, you can’t even begin to act all tourist-y in Amsterdam’s Red Light District. Some tourists make the (almost fatal) mistake of filming or taking pictures of the prostituted persons in the District. What these tourists forget is that this area is an area that’s protected by city laws, and as such doing any of those things just mentioned lead to a lot of unfavorable consequences. Some get beaten up, some get arrested. 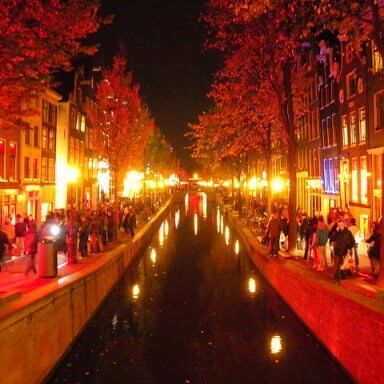 So, if you walk around the Red Light District and you’re awed by the sight of it all, it’s best to keep this awe to yourself and not capture it on camera. Another thing you can’t do in Amsterdam is to walk in the way of the cyclists. Yes, you do have your rights as a pedestrian but Amsterdam is apparently a city where cyclists rule. The last thing you need on your trip to Amsterdam is a situation where you annoy the city’s inhabitants, so be a careful pedestrian. Don’t walk on the areas that are designated for bikes. While doing your leisurely walk around the city, you’ll probably see a long line by the Anne Frank Museum. 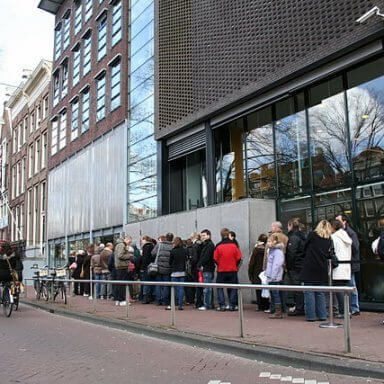 Before you think to yourself that that’s your expected fate, you need to know this: you don’t have to be stuck in a line to enter the Anne Frank Museum. All you need to do is to purchase your tickets ahead of time. By doing so, you can enter without having to line up. This, too, must be said: don’t rent a car in Amsterdam. Renting a car in Amsterdam to use for a city tour is kind of self-defeating. You see, being in a car won’t let you appreciate the beauty of the city. So, instead of renting a car, you can simply choose to walk. Or, if you’d like something that goes a little faster, you can rent a bike and go around the city. 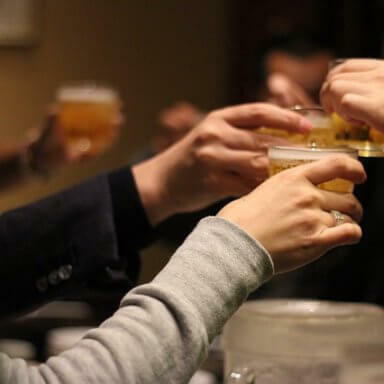 Possibly another thing that you must think twice before doing is partying too hard and going crazy-drunk in the night. You see, Amsterdam has a law against public drunkenness, which simply means you can’t embarrass yourself as a drunk in public, else you can be arrested for it. And no, in times like these, the excuse “I’m a tourist!” just won’t always work. So yes, like many things in life, when it comes to drunkenness in Amsterdam, it’s still better to be safe than sorry. An article that tells you about things you shouldn’t do must not rob you of all the potential fun that you should have in Amsterdam. Your friends are still right, after all – Amsterdam is a city that’s so full of life, and on your vacation, go and have a taste of this life, with the proper limits, of course. 434 visitors rated Visiting Amsterdam: Are There Things You Shouldn’t Do? average 4.76 stars out of 5.